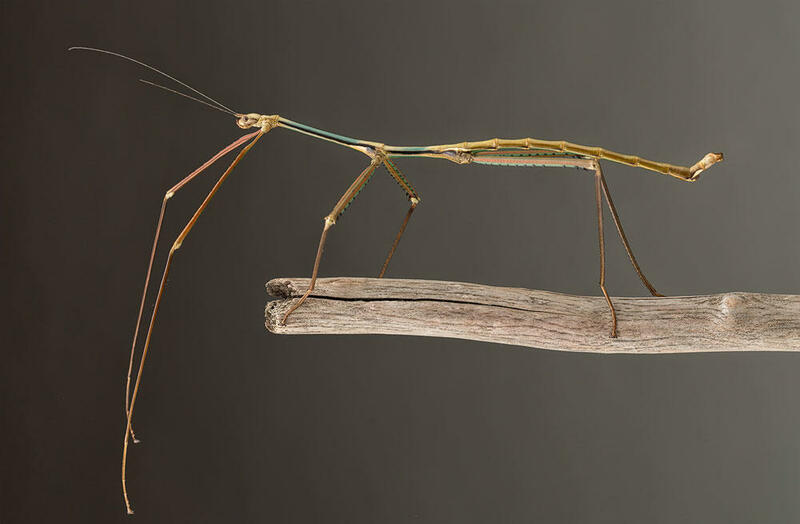 Although this insect belongs to a family dubbed "giant sticks", it is definitely on the shorter side, coming in at only 9 inches in length (the longest walking stick on record was a whopping 22 inches long!). Phryganistria tamdaeoensis roams the streets of Tam Dao, Vietnam, and is named after the picturesque Tam Dao National Park. Living specimens are on display at the Royal Belgian Institute of Natural Sciences in Brussels.